India's car market leader Maruti Suzuki today handed over first lot of Two Maruti Suzuki SX4 Hybrid cars and One 'Eeco Charge' to Mr Arvinder Singh Lovely, Hon'ble Minister of Transport for NCT Delhi. The vehicles intended for use at the forthcoming Commonwealth Games, were handed over by Mr. Shinzo Nakanishi, Managing Director and CEO, Maruti Suzuki India Limited, in the city. Maruti Suzuki has made ready a lot of 14 future technology vehicles for the use at Commonwealth Games. These include 10 Maruti Suzuki SX4 Hybrid Cars and 4 Maruti Suzuki 'Eeco Charge' vehicles. The balance vehicles will be handed over to the Commonwealth Games Organising Committee for use by the Officials during the Commonwealth Games. On the occasion Mr. Shinzo Nakanishi said, "I am happy that engineers at Maruti Suzuki have developed these future technology vehicles. This project has helped our engineers to increase their knowledge and enhance their R and D capability. We are grateful to the Government for their leadership to promote green technology in automobiles. Maruti Suzuki is happy to be associated with the Commonwealth Games national initiative, through these vehicles." Maruti Suzuki has developed the SX4 Hybrid vehicles and 'Eeco Charge' concept vehicles as a part of the demonstration fleet. The demonstration of the fleet of SX4 Hybrids and 'Eeco Charge' vehicles at the Commonwealth Games 2010, is in line with the ambitious NHPP and MNRE program outline. SX4 Hybrid and 'Eeco Charge' concept development has been taken up by Maruti Suzuki as a part of the Government initiated and SIAM coordinated NHPP and MNRE National Hybrid Propulsion Program (NHPP) and the Ministry of New and Renewable Energy Sources (MNRE)'s High Energy Density Battery Development Program. The development of Hybrid and Electric vehicles is one of the exciting initiatives undertaken by Maruti Suzuki to enhance its R and D capabilities and gear itself for greener technologies. Through this exercise Maruti Suzuki is keen to expand its learning's on green technologies that put minimal stress on non-renewable energy. A team of 25 Maruti Suzuki engineers worked on this project with global hybrid technology and component suppliers. These future technology vehicles by Maruti Suzuki demonstrate how eco-friendliness and personal mobility can be packaged together as an exciting product. These concepts have been developed by a team of Maruti Suzuki engineers and were showcased at Delhi Auto Expo 2010. 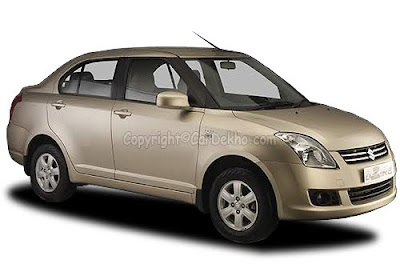 Maruti SX4 Hybrid is a Full Parallel Hybrid with Automated Manual Transmission (AMT) on a sedan platform. SX4 Hybrid presents a case of evolution of transportation system with elements of flexibility, style and eco-friendliness. 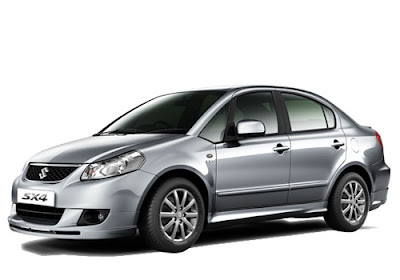 SX4 Hybrid offers mobility solution in an eco-friendly yet stylish manner. The hybrid system used in the SX4 Hybrid features an electric motor and twin clutch arrangement with advance Lithium-ion battery technology. This concept combines a 1.2 litre K-series petrol engine and a 50 kW electric motor along with 5-speed Automated Manual Transmission. Together, these provide high fuel economy with lower emissions. The SX4 Hybrid is also capable of running solely on its electric motor, offering a further boost to fuel efficiency and zero emission modes in city driving. The SX4 hybrid offers 25 per cent more fuel efficiency compared to conventional gasoline vehicle. 'Maruti Eeco Charge' is a zero-emission, pure electric vehicle developed on a MPV platform. It is powered by a 50kW motor and a 24kWh Lithium-ion battery. On full charge it promises a driving range of around 100km and attains top speed of 100 km per hour. The 'Eeco Charge' also has the 'Sport Mode' for acceleration enthusiast. The battery for 'Eeco Charge' has been packaged under floor for better drivability and retaining ample boot space. The real time display of State of Charge and 'Distance to Empty' addresses user's anxiety. The 'Eeco Charge' can be charged using household power source. Maruti Swift, India's one of the largest auto market leader, Maruti Suzuki's flagship model in the Indian auto market. After getting wonderful response in this car from the Indian buyers, the company is looking forward to launch the new 2011 model of Maruti Swift soon in India. 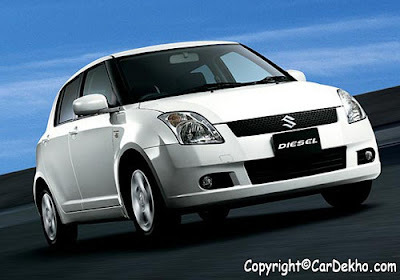 The new 2011 Maruti Swift will be launched soon in India as well as International market. The new Swift has all the common features along with strong support of Maruti's brand image and Swift's own performance record. The 1.2L Dual VVT power point is mated with manual and automatic transmission. The new Maruti swift will be fitted with the company's latest engine technology K-series that is offering good performance and excellent fuel efficient engines. The interiors has completely re-designed with better quality plastics as well as dashboard. The front has a retractable screen, Bluetooth, automatic climate control and a USB support. It also has steering mounted controls and complete digital console. According to some news reports, the new model will also be available with 1.3L diesel version with excellent fuel efficiency of 3.5 l per 100km. 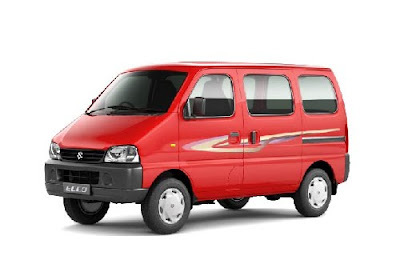 It is a 5-door model that comes with seating capacity of 4 persons. 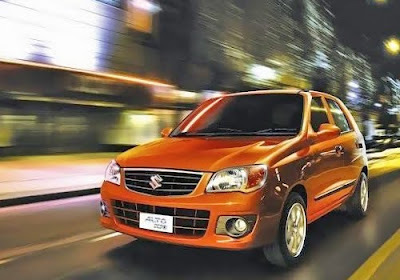 Meanwhile, Maruti Suzuki has recently launched an improved version of the company largest selling premium hatchback car, Maruti Alto K10 in the Indian auto market. The country's major auto market leader, Maruti Suzuki India Limited flagship model in the B segment, Maruti Swift gets frost and Sullivan '2010 Aspirational Car of the Year' Award. This award is given for a manufacturer based on a structured research process. The Voice of Customer survey considers an OEM which has introduced the best models all over different segments of passenger vehicles, content aspiring needs and been rated high for its achievement in Excellence in Technology and Innovation. Maruti Swift is manufactured with typical Japanese precision. This truly global vehicle shows attention to detail and has been tested for particular Indian road conditions and also for the requirements of the customers. This model represents the constantly increasing recognition for Indian engineering capabilities. The model provides its customers the experience of a sporty drive. The model also flaunts brilliant engine responsiveness and the superb shock absorbers. Maruti Swift diesel model incorporates a next generation DDiS engine. This takes the customers towards a more smoother drive. The model also contains a combination of Turbochas, Intercooler, and also a double overhead camshaft. All this together, provides a great performance. 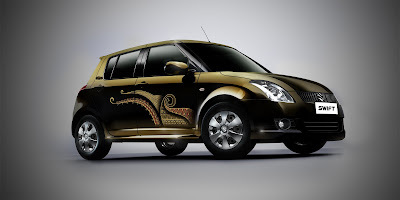 Maruti Suzuki has recently launched an special limited edition of its most popular model, Maruti Swift in the Indian auto market. It comes at an attractive price tag of Rs 4,83,079 (ex-showroom-Delhi). Maruti Suzuki India Limited, the country's largest auto manufacturer, has recorded sales of over 20,000 units of Maruti's newly entrant Alto K10 into the compact car segment in the least 40 days in the Indian auto market. The all new Maruti Alto K10 is available with affordable price tag of between Rs 2,29,147 to Rs 3,23,026 (ex-showroom-Delhi). Shashank Srivastava, chief general manager, Maruti Suzuki India was quoted saying that they have already sold more than 20,000 units of Alto K10. No other model in the country has received such a response within 40-odd days since its launch. Srivastava further said that Maruti’s Alto K10 is an aspirational car at the entry-level. In larger cities, entry level cars do not find many takers. But K10 with its combination of features and the price at which they are offered has struck a chord with customers across cities. Before Alto K10, Maruti Suzuki had registered record sales for its model Ritz. 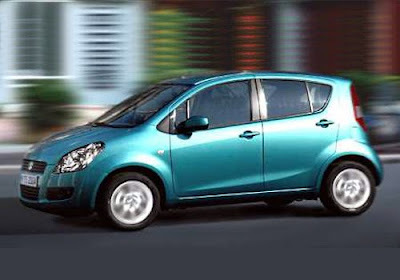 The Ritz was launched in May 2009 and it sold 15,000 units within the first two months of its introduction. Annual sales for the car stood at 67,000 units. Another model of Maruti, Maruti Swift was launched in the year 2005. 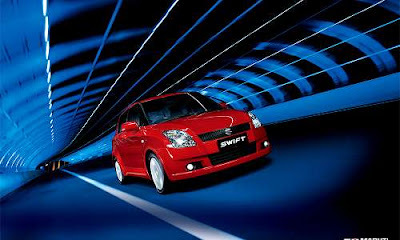 The Swift sold only 4,000 units in the initial months of its launch. The company now sell 11,000 to 12,000 units a month. On the other hand, Maruti Suzuki is planning to launch the new cheapest car, Maruti Cervo soon in India. Apart from that launch, Indian car lovers will see more launches in India that includes Skoda Yeti, Tata Aria and Hyundai Santa Fe in the Indian auto market. Maruti Suzuki India Limited, the country’s largest car manufacturer, has recently announced the launch of a limited edition of Maruti Swift, the iconic premium small car brand. The “Swift One Million Edition” shall be available in a specially created “Goldsmith Black” colour and shall be loaded with smart and attractive features like splendid graphics, special integrated stereo with USB and speakers, luxurious leather seats, cushions, foot-mats and an artistic decal on the exteriors. 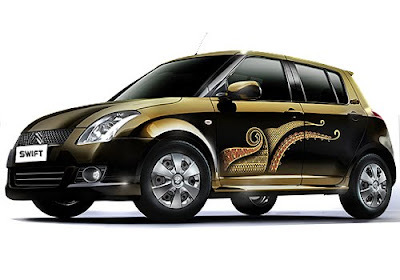 The limited edition celebrates Maruti Suzuki’s landmark of selling one million cars a year, achieved in late March. The one millionth car was a Swift, and it rolled out of the Company’s state-of-the-art plant at Manesar. The limited edition car is branded: “Swift One Million Edition”. Speaking on the occasion Mayank Pareek, Managing Executive Officer (Marketing and Sales) said, “It is indeed a moment of pride for us. Maruti Swift One Million Edition is our gesture to show gratitude to our customers who have strongly supported us in our journey to reach milestone of one million sales in one year.” Highlighting the product Mr Pareek added, “The interiors of the Swift One Million Edition have aesthetics of a commemorative edition. The new features and the characteristic body graphics together compliment the sporty character of the Swift. We are confident that this special edition will bring pride to the select owners who get to possess it”. The Swift One Million Edition is available in Vi version (Petrol) at a price of Rs. 483,079 (ex-showroom, Delhi). Only 1,000 units of this celebration model are being offered. Swift pioneered the premium A2 car segment in the country. It was Suzuki’s first world strategic model and heralded a new design philosophy which is aggressive, bold and sporty. 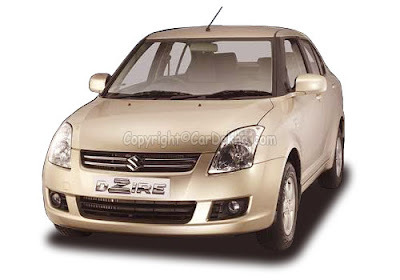 Swift was also a landmark in demonstrating the R and D capability of Indian engineers: a group of 25 Indian engineers worked on design and development of this global model along with their counterparts at Suzuki. 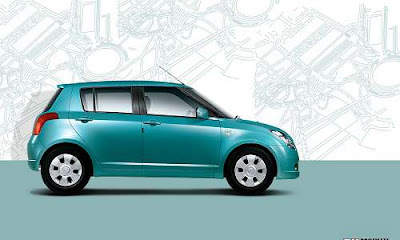 Since its launch in 2005, Swift has commanded unprecedented leadership with over 4.90 lakh happy customers. Swift has the distinction for achieving the fastest 2 Lakh sales in 35 months and fastest 3 Lakhs sales in 46 months. The Swift has won many accolades at national and international platforms. The super-car won the Car-of-the-Year in as many as 11 countries, including India, for its path-breaking looks and styling, superior safety features and its ability to balance a dynamic driving experience with a comfortable ride. In addition to over 40 national and international awards to credit, Swift created a Guinness World record for the largest gathering of Swift cars in May’10.